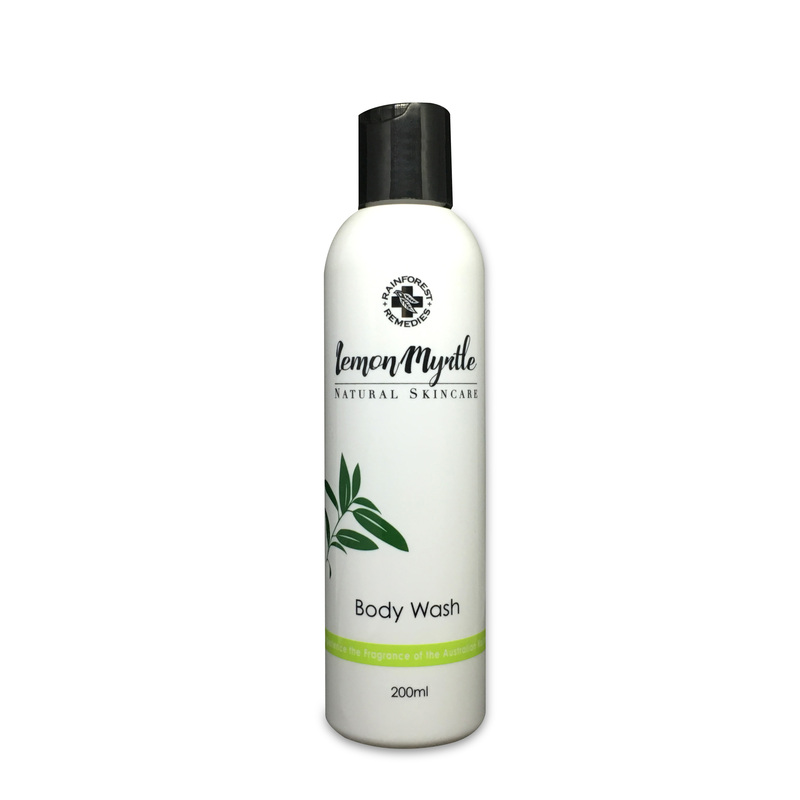 An all over body wash enriched with pure organic Lemon Myrtle essential oil, sourced from the Byron hinterland. This body wash contains a gentle, natural formula to leave your skin feeling fresh, invigorated and healthy. Free from Sodium Laurel Sulphate. Take a journey into the Australian rainforest with this all over Lemon Myrtle body wash. Enriched with pure organic Australian Lemon Myrtle essential oil sourced from the Byron hinterland. This body wash contains a gentle, natural formula to leave your skin feeling fresh, invigorated and healthy. Free from Sodium Laurel Sulphate and free from chemical preservatives. Natural and cruelty free ingredients.